I am active on a number of discussion boards, finding it necessary to find astronomy-related activities that can be enjoyed during the many cloudy nights we experience here. One such site is even named for that – Cloudy Nights (www.cloudynights.com). It is the premier astro discussion site on the planet, so far as I know, and I encourage all to have a look at it. It is not my site; it belongs to Astronomics, one of the many fine retail dealers we amateur astronomers have available to us. BTW – although I won’t be acquiring an LX850 series optical tube, a local friend and imager is getting the 14″ tube so I’ll be able to offer some reports and images captured with that. Having previously owned both the 14″ and 16″ ACF tubes, he’s in a better position to evaluate the new OTA than I am. He’s more conservative than I am, though, so he’ll be using an AP1200 mount. Current plans are to mount my AT12RC and FSQ-106N on the LX850 mount for use here. The equipment will be installed in Wadsworth Observatory, which was built into a dormer added to my pole barn in 2003. It can be seen in the background on this site, with a previous setup (Meade 178ED on Takahashi NJP mount). Current cameras are a QSI683WSG for deep sky and a NexImage 5 for planets. There’s a website for the observatory, but it hasn’t been updated for a few years. disclaimer: I have no financial interest in Meade, Astronomics, CloudyNights.com, or any other business entity related to amateur astronomy. 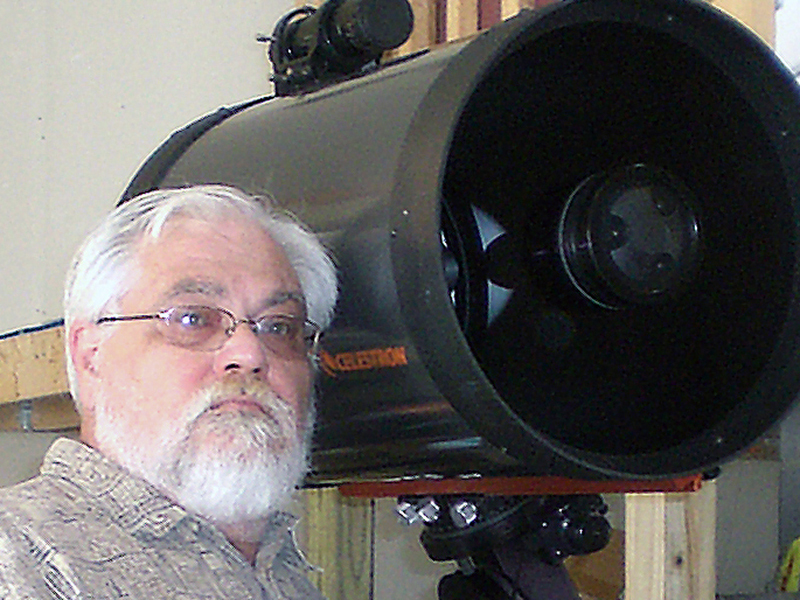 I am an amateur astronomer with a particular interest in the hardware we use. another disclaimer: “Meade” and “LX850” are trademarks of Meade Instruments Corporation. It isn’t going to be possible to discuss this product without using those terms but I make no claim to any rights in those terms for myself by using them. I will try it when I get back home and thanks again. Well I tried the drift alignment after my two star alignment (first time I’ve done a drift alignment ever) and the mount went parallel OTA east and OTA pointing south. It went through some process that took about 15 minutes and then the HC told me no adjustment needed it then swung all the way around and wouldn’t you know it a big tree was in the way so I had to stop the drift alignment. Maybe this weekend I’ll take it to an open field nearby just to see if after the drift alignment it still has issues with crossing the meridian. But if it works then I’m going to need to figure out a successful drift alignment at my house and what to do with the tree. In the meantime, you could try the “OTA adjust” function. That will let you correct any orthogonality error. That adjustment will remain correct in future sessions, unlike the drift alignment which must be redone each time. There must be a way to rejesct an unavailable drift align target star but I’ve never needed to look for it. I’ll see what I can find out. I’ve had my LX850 14″ for about 6 months and I’m very happy with I just having an issue crossing the meridian. When I align I use the polar plus one star method that is automated in HC. well it always picks vega as the second star which is on the eastern side of the meridian so then I get alignment successful so I got to any target on the eastern side of meridian and bingo dead on but if I go to the western side of the meridian I have yet to hit one target. I have made sure my balance is spot on and I’ve gone through the HC settings and they seem fine. What do you think the problem could be . any info would be greatly appreciated. There are two primary sources of error when crossing the meridian. Polar alignment is the largest error source. Using the built-in drift alignment assist will handle that. The other is orthogonality – the alignment of the optical tube’s optical axis to the mounting plate. There’s an assisted process for that as well but I haven’t used it. If you look at the attachment of the dovetail plate to the radius blocks, there are setscrews there to shift the tube up or down to bring the optical axis into alignment. Be careful fiddling with those – backing one out too far would disconnect the dovetail plate from the radius block and the tube won’t be attached to anything. Thanks for getting back to me so quickly, I will try what you said as soon as I get back from vacation. But I was wondering if you could take the time to explain to me your set up process keeping in mind that I usually set up my equipment according to the weather pattern (so yes I set up and tear-down a lot). I find it weird that when I’m all set up and turn the scope on it finds home it will ask me to push 0 or mode and I usually push 0 then it moves to the right of the meridian and stops and the HC says center polaris mechanically not using the hand control and I use the wrench to move the azimuth and alt. until I have it centered then I hit enter and it will search for a star of which is 90% of the time Vega and it puts it in the finder scope and I then use the HC to center Vega then hit enter and says alignment successful. I then go to M82 on the western side of meridian and no where to be found but from there I go to M16 and bingo dead center. I am use to using a polar scope with my CGE and as the scope is pointing polar north I just can’t grasp the fact that the LX850 is sometimes parallel east when looking for polaris. I’m new to LX850 and I’m certainly an amatuer at this and I love what this scope has to offer but as I said before it’s most likely operator error. Can you tell me if I’m doing something wrong and if you would like I can privately email you my cell number and maybe I can explain it a little better. I doubt that you are doing anything wrong. It’s just that the quickie polar alignment routine you are using is dependent on too many variables to be reliably accurate. It gives you a starting point – but I strongly suggest that you follow that by using the drift align routine (VERY easy) to get it really close. If it still can’t go to objects across the meridian then you can be sure that the issue is orthogonality. The position of Polaris won’t change much from night to night at a given time but be aware that it moves in a complete circle around the pole about every 24 hours – so it could be in any direction. Meade sent me a new DEC motor assembly, I’d replaced it and now the scope is working. Still a loud noise from RA drive when slewing, is this normal? More test coming during the WE. I’m very glad to hear that Meade is still being extremely responsive to problems – and that your mount is roking properly now! It’s been about 6 weeks since weather permitted any imaging but the way I remember it, both axes sound about the same. How is the RA balance? Just received my LX850 12″, I’ve assembled it indoors (bad weather) to do some familiarization and testing. When turned it on a “Finding home” message appeared, I aborted it by hitting ‘Mode’ and after a couple of automatic movements of the RA axis, some extrange noise pops up and I received the “Motor Stalled” msg. Any ideas of what going on? Could you, please describe the start up rutine that Autostar II follows before it gives you the control? The “Finding Home” function moves both axes to their index switch positions. Sometimes it sits for a bit before starting the motions (must be some internal housekeeping going on). Once it is homed you regain control without having to “mode” out. You don’t mention whether the optical tube was installed. If just doing indoor preliminary tests without a telescope you’ll want to leave the counterweight shaft off. Otherwise it will be WAY off balance. I never operated mine like that but I can see how that could cause a motor stall. With the optical tube installed you’ll need two of the 28 pound weights plus either another 28 pound or the smaller (10 pound?) weight. I have two large and one small weight on mine with the 12″ tube. I wouldn’t power it up unless pretty close to balance in both axes. The OTA and both 28p counterweights are in place and both axis balanced. So you suggest not to stop the Finding home rutine? I’d wait 5 to 6 minutes and the message was still there. How long does it take? Does this Finding home anything to do with the GPS or it’s just part or the parking position rutine? The delay in home seeking that you describe is far longer than I’ve experienced. It doesn’t look for GPS until alignment or goto is attempted. Do both axes move smoothly when balancing? I wanted to thank you for the time, effort and expense you invest in your blog. I do spend a fair amount of time on CN sorting through the noise for tidbits of real data. But I am thrilled when I see that you had updated the blog. I am saving my “lunch” money for a new system, and the LX850 is very much in contention. I look forward to benefiting from your experience as choose my next indulgence. Thanks again!